This week, we have began to move a journey of faith to complete our classroom structure. 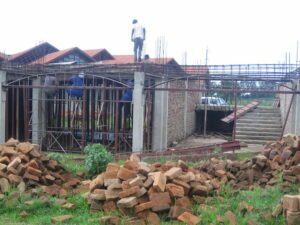 Our building technical staffs are now very serious to see that soon this classroom structure is completed. In fact, after the completion of this structure, we shall breath a bit because it has been not easy due to ever increasing number of children, and as you are all aware that even we have High school section in place. 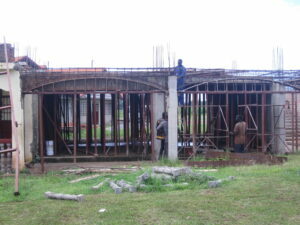 This structure is still part of the primary section. Remember according to the Ministry of Education policy and guideline, High school is not supposed to be mixed up with primary section. Therefore, we are just doing this temporarily and in future when God opens away of finances, we shall shift High school to it’s own plot. Now our request is that stand with us in prayers for God’s provision and intervention for this to be realized and achieved. Also those who feel touched and would like to be part of this great work, are highly welcomed to give in their support.